Mac OSX includes a screen sharing feature that allows remote users to view and manipulate the display from over the network. The feature is described as being compatible with VNC, a popular open standard for network access to displays and user interfaces. However, after attempting to get this to work from a Windows XP system using the RealVNC viewer application, I was having difficulties getting it to work properly. An error message would appear while I was trying to connect to the Mac complaining about the protocol version being used, and the display would blink momentarily but never actually show the Mac OSX desktop of the remote system. Based on the common reports of this type of behavior I found on the web, it seems many people have encountered the same problem, using many different VNC clients on various operating systems. I did eventually figure out the solution on my own, so I figured I would post it here in case someone else encounters this in the future, and wonders how to fix it. To start, you need to enable the VNC screen sharing feature	from the Preferences section on Mac OSX. In the Sharing section, select "Screen Sharing" and make sure there is a checkbox for it. Then, click on "Computer Settings", and make sure that both boxes are checked and that you enter a password required for the machine to be controlled by VNC clients. Some helpful screenshots are shown below. That completes the Mac side of the software configuration. I had gotten this far on my own, but couldn't get remote machines to successfully establish a connection to the Mac. 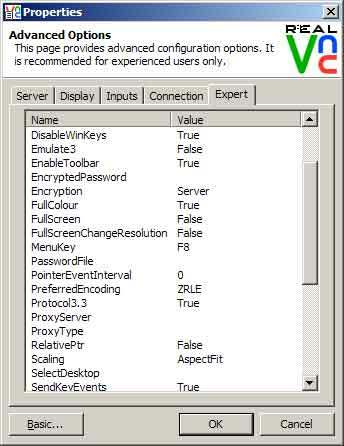 The following two settings below were what enabled me to connect successfully using RealVNC on a Windows XP machine. Similar settings will likely apply on Linux and other systems and VNC clients. First, make sure that you configure your VNC client to use version 3.3 of the VNC protocol. There is usually a setting or checkbox somewhere in your VNC client in order to force this mode. 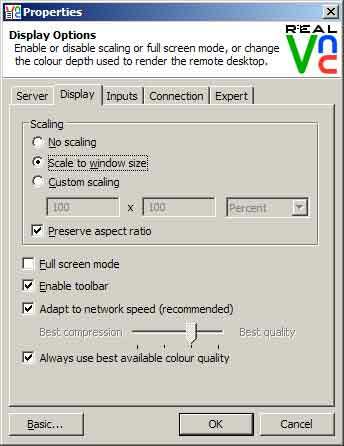 Second, make sure that you configure your VNC client to "Always use best available colour quality". With this setting enabled, I no longer received the blinking flash before my VNC client disappeared and failed to connect to the Mac. That's all you need to change. After configuring these two settings, you can make successful VNC viewer connections to your Mac systems.